The level 2 cache is normally much bigger (and unified), such as 256, 512 or 1024 KB. The purpose of the L2 cache is to constantly read in slightly larger quantities of data from RAM, so that these are available to the L1 cache. In the earlier processor generations, the L2 cache was placed outside the chip: either on the motherboard (as in the original Pentium processors), or on a special module together with the CPU (as in the first Pentium II’s). Fig. 71. An old Pentium II module. The CPU is mounted on a rectangular printed circuit board, together with the L2 cache, which is two chips here. The whole module is installed in a socket on the motherboard. But this design is no longer used. As process technology has developed, it has become possible to make room for the L2 cache inside the actual processor chip. Thus the L2 cache has been integrated and that makes it function much better in relation to the L1 cache and the processor core. The L2 cache is not as fast as the L1 cache, but it is still much faster than normal RAM. Fig. 72. It has only been during the last few CPU generations that the level 2 cache has found its place, integrated into the actual CPU. Fig. 73. The way the processor uses the L1 and L2 cache has crucial significance for its utilisation of the high clock frequencies. 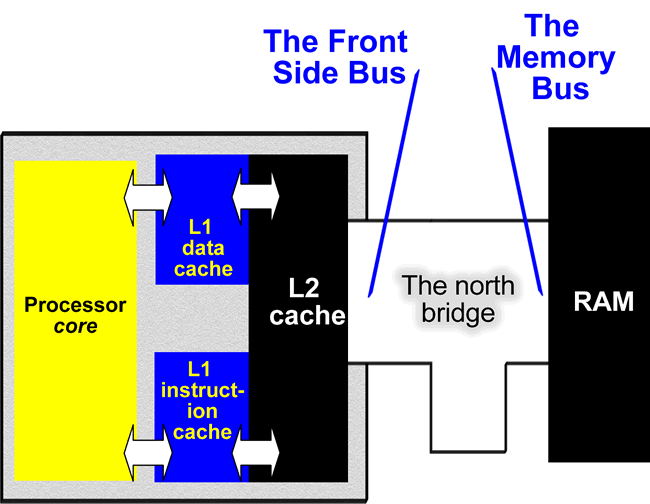 The level 2 cache takes up a lot of the chip’s die, as millions of transistors are needed to make a large cache. The integrated cache is made using SRAM (static RAM), as opposed to normal RAM which is dynamic (DRAM). While DRAM can be made using one transistor per bit (plus a capacitor), it costs 6 transistors (or more) to make one bit of SRAM. Thus 256 KB of L2 cache would require more than 12 million transistors. Thus it has only been since fine process technology (such as 0.13 and 0.09 microns) was developed that it became feasible to integrate a large L2 cache into the actual CPU. In Fig. 66 on page 27, the number of transistors includes the CPU’s integrated cache. Fig. 74. Theoretical calculations of the bandwidth between the L1 and L2 cache. There are a number of different ways of using caches. Both Intel and AMD have saved on L2 cache in some series, in order to make cheaper products. But there is no doubt, that the better the cache – both L1 and L2 – the more efficient the CPU will be and the higher its performance. AMD have settled on a fairly large L1 cache of 128 KB, while Intel continue to use relatively small (but efficient) L1 caches. On the other hand, Intel uses a 256 bit wide bus on the “inside edge” of the L2 cache in the Pentium 4, while AMD only has a 64-bit bus (see Fig. 74). Fig. 75. Competing CPU’s with very different designs. AMD uses exclusive caches in all their CPU’s. That means that the same data can’t be present in both caches at the same time, and that is a clear advantage. It’s not like that at Intel. However, the Pentium 4 has a more advanced cache design with Execution Trace Cache making up 12 KB of the 20 KB Level 1 cache. This instruction cache works with coded instructions, as described on page 35. Fig. 76. The most common processors and their caches. A very important aspect of all RAM – cache included – is latency. All RAM storage has a certain latency, which means that a certain number of clock ticks (cycles) must pass between, for example, two reads. L1 cache has less latency than L2; which is why it is so efficient. When the cache is bypassed to read directly from RAM, the latency is many times greater. In Fig. 77 the number of wasted clock ticks are shown for various CPU’s. Note that when the processor core has to fetch data from the actual RAM (when both L1 and L2 have failed), it costs around 150 clock ticks. This situation is called stalling and needs to be avoided. Fig. 77. Latency leads to wasted clock ticks; the fewer there are of these, the faster the processor will appear to be. A hardware auto data prefetch unit, which attempts to guess which data should be read into the cache. This device monitors the instructions being processed and predicts what data the next job will need. Related to this is the Translation Look-aside Buffer, which is also a kind of cache. It contains information which constantly supports the supply of data to the L1 cache, and this buffer is also being optimised in new processor designs. Both systems contribute to improved exploitation of the limited bandwidth in the memory system. Fig. 78. 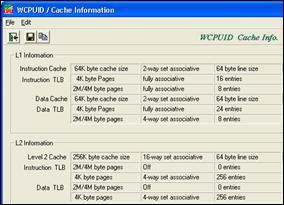 The WCPUID program reports on cache in an Athlon processor. 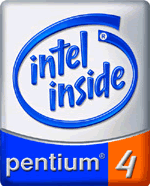 In January 2002 Intel released a new version of their top processor, the Pentium 4 (with the codename, “Northwood”). The clock frequency had been increased by 10%, so one might expect a 10% improvement in performance. But because the integrated L2 cache was also doubled from 256 to 512 KB, the gain was found to be all of 30%. Fig. 79. Because of the larger L2 cache, performance increased significantly. 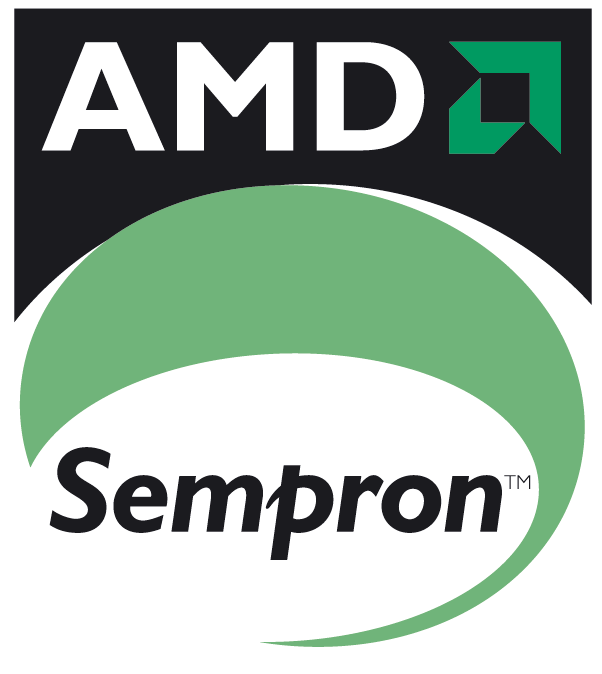 In 2002 AMD updated the Athlon processor with the new ”Barton” core. Here the L2 cache was also doubled from 256 to 512 KB in some models. In 2004 Intel came with the “Prescott” core with 1024 KB L2 cache, which is the same size as in AMD’s Athlon 64 processors. Some Extreme Editions of Pentium 4 even uses 2 MB of L2 cache. Intel produces special server models of their Pentium III and Pentium 4 processors. These are called Xeon, and are characterised by very large L2 caches. In an Intel Xeon the 2 MB L2 cache uses 149,000,000 transistors. Xeon processors are incredibly expensive (about Euro 4,000 for the top models), so they have never achieved widespread distribution. They are used in high-end servers, in which the CPU only accounts for a small part of the total price. Otherwise, Intel’s 64 bit server CPU, the Itanium. The processor is supplied in modules which include 4 MB L3 cache of 300 million transistors. Several Xeon processors can be installed on the same motherboard, using special chipsets. By connecting 2, 4 or even 8 processors together, you can build a very powerful computer. These MP (Multiprocessor) machines are typically used as servers, but can also be used as powerful workstations, for example, to perform demanding 3D graphics and animation tasks. 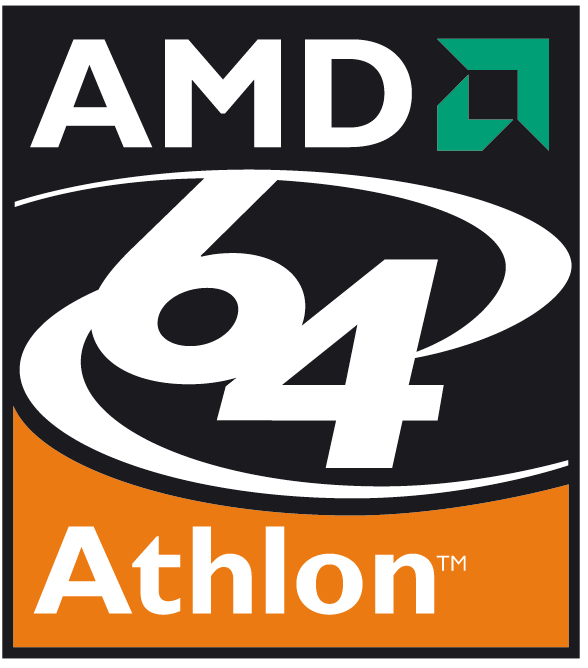 AMD has the Opteron processors, which are server-versions of the Athlon 64. Not all software can make use of the PC’s extra processors; the programs have to be designed to do so. For example, there are professional versions of Windows NT, 2000 and XP, which support the use of several processors in one PC. See also the discussion of Hyper Threading, which allows a Pentium 4 processor to appear as an MP system. Both Intel and AMD also works on dual-core processors.